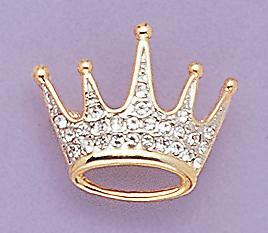 Simple and elegant Crown Pin with pav set Austrian clear crystals. Available in Small (.75 in. wide) and Large (1.25 in. wide).